Don't forget to invite your friends! Tell my friends to come along on Facebook. Membership Code What is this? 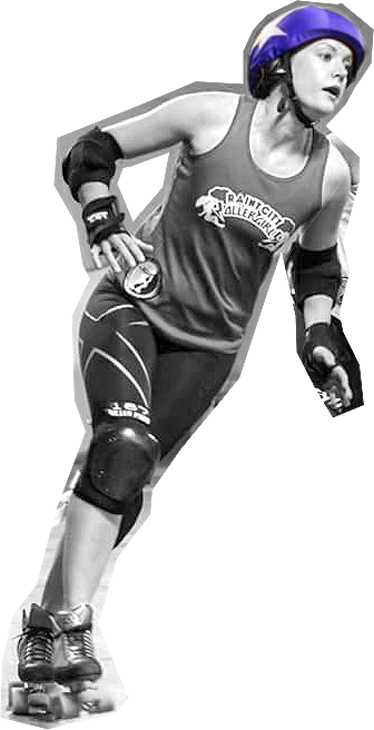 We welcome Berlin’s Bear City to the Thunderdome for an elite level game of international European Roller Derby against Rainy City All Stars. These teams last met in 2014 at the WFTDA European Tournament in Malmö, Sweden, where Rainy City celebrated victory in a close game. 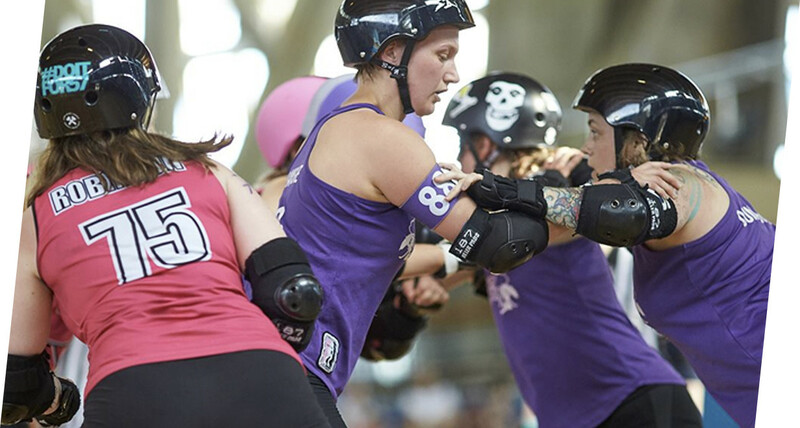 Both teams have excelled to the top of European Roller Derby, and Bear City had an incredible year in 2018. We’re excited to meet them again, this time in Manchester. 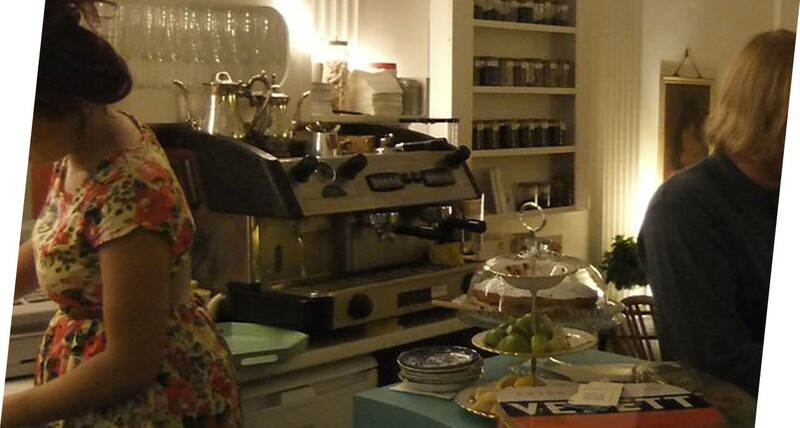 There’ll be beer, cakes and merchandise… it’s going to be an awesome day! Full contact, fast paced, quad skating roller derby action for everyone! 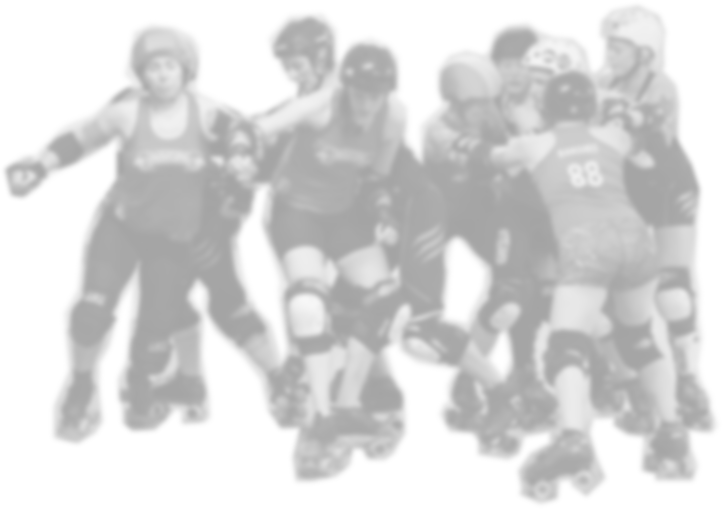 So... what is roller derby? 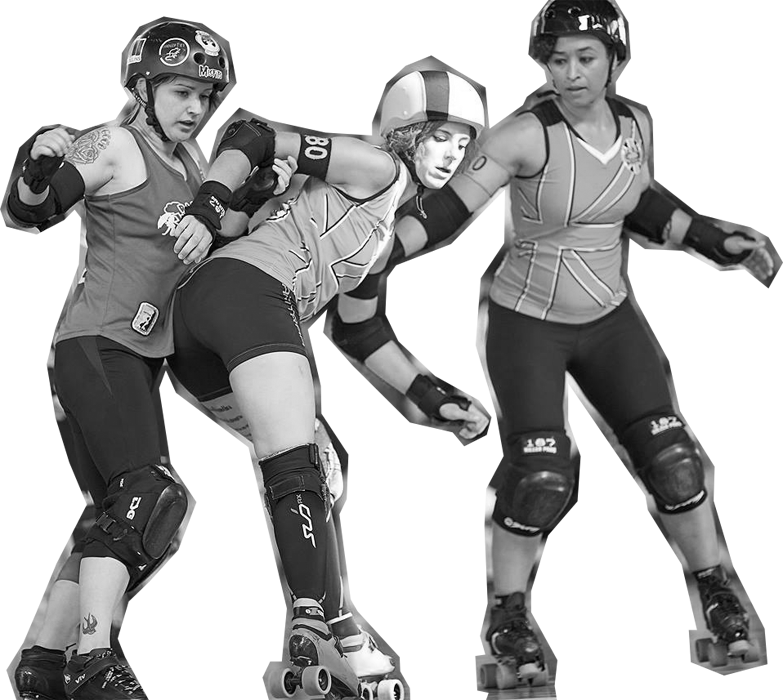 Each roller derby game is made up of a series of 2 minute jams. At the beginning of each jam, both teams line up 5 players at the starting line. When the whistle goes, they skate around the track. 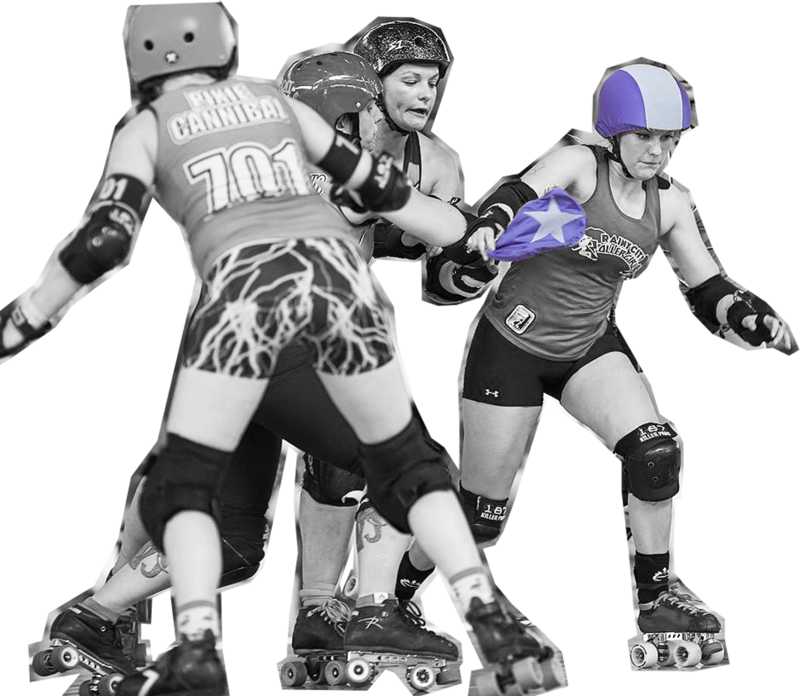 Jammers have stars on their helmets and gain points for their team by passing opposition players on the track. 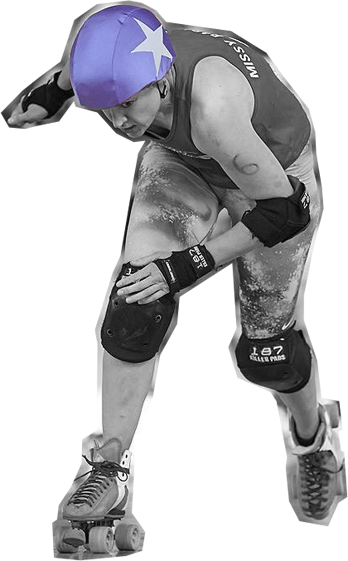 Blockers try their hardest to stop them by hitting them with their shoulders, chest or hips, or by knocking the jammer out of the track. The two teams' jammers race to get ahead of all the blockers first.  The winner becomes "lead jammer" for the remaining time in the jam. 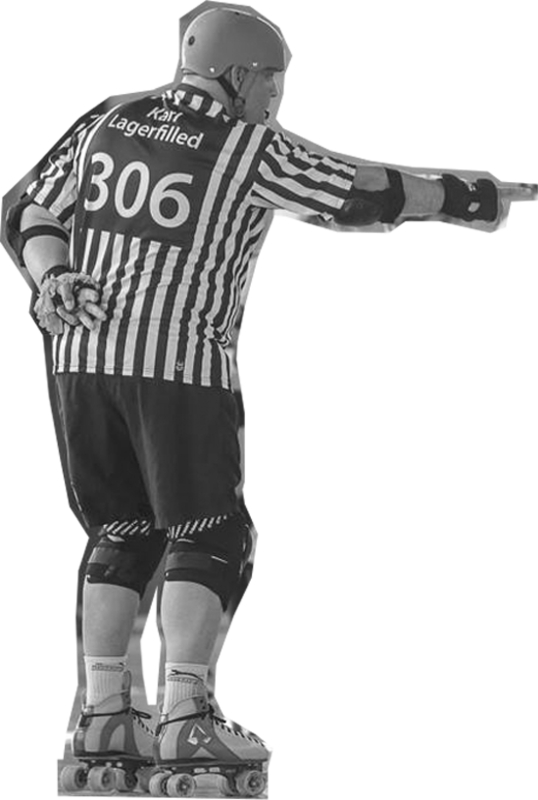 You can always see who's become lead jammer, as the referee points directly at them. The jammers now skate around and try and get as many points for their team as they can. 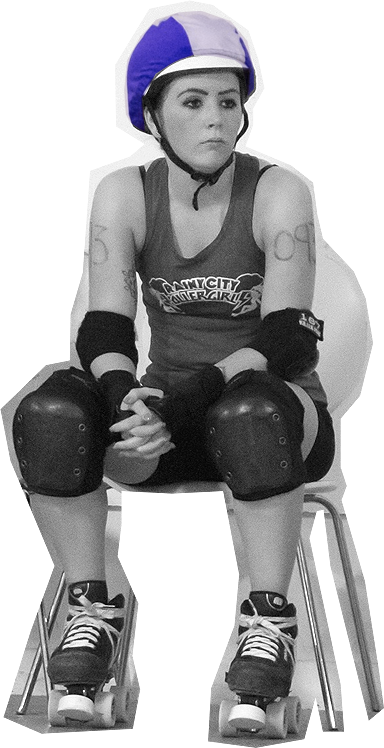 The lead jammer can end the jam whenever they want by tapping their hands on their hips. This ends the jam early and is often used to stop the other team from scoring points. You'll notice one blocker for each team has a striped helmet cover. These players are called pivots and can take over from the jammer if they’re tired or in trouble. Keep an eye out for helmet covers being passed on the track midway through a jam! 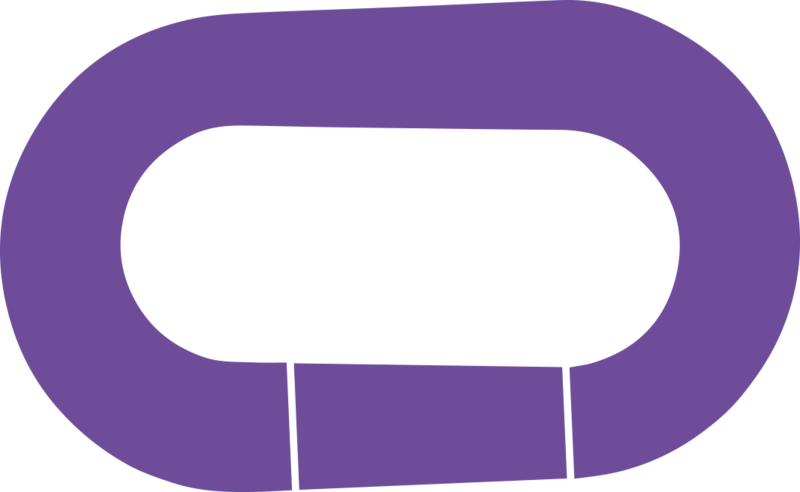 Players will be sent to the penalty bin to sit for 30 seconds if they block with their arms or legs, or if they hit against the back. They’ll also get sent to the bin if they skate outside of the track as they pass opposition players. At the end of a jam, the game resets, another 5 skaters from each team line up and we go again! The team with the most points after two halves of 30 minutes, wins. 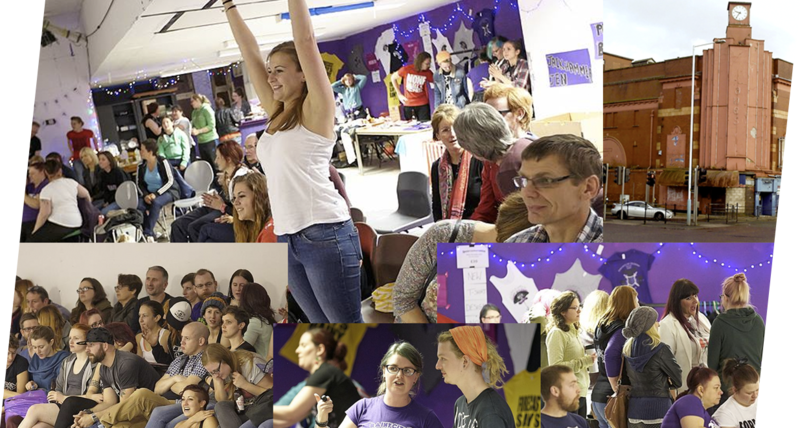 Our home venue is entirely run and managed by Rainy City Roller Derby and all ticket sales go directly to supporting the league. 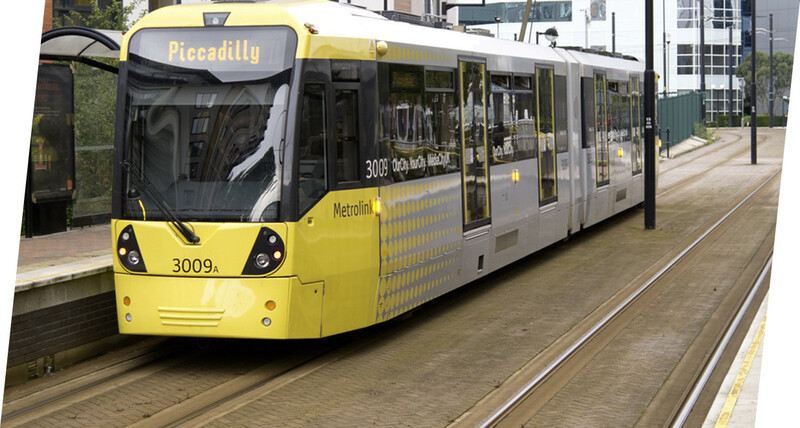 It’s easy to get to by public transport or car, just next to the Oldham tram stop, or off junction 20 of the M60. Get the latest RCRD news pumped right into your inbox, and receive offers and discounts on upcoming games & bootcamps.